“It seems that destiny has taken a hand,” said Rick Blaine in the timeless movie Casablanca. For most of us, the sensibility that fate and destiny play an inexorable role in love is the stuff of fairy tales or movies. For natives with Pluto in the Seventh House, truer words were never spoken. Seemingly self-assured, confident and in control, Rick Blaine was the master of his corner of the Universe – a “gin joint,” as he described it – where Casablanca’s international stable of war refugees gathered to wait out the onerous process of obtaining an exit visa. “Everyone goes to Rick’s,” proclaimed Captain Renault, local legal authority of the town, he himself a regular customer. People knew where they stood with Rick. “I don’t stick my neck out for anyone,” Rick said more than once. Coolly distant, no one had a hold on Blaine’s affections. When a girlfriend – who drank Rick’s liquor generously before she saw him – demanded to know where he was the night before, he replied that he didn’t remember that far back. When she asked if she would see him that night, he replied that he didn’t make plans that far in advance. When she fell apart emotionally making a scene, he had an employee whisk her away from the bar. Affair over. Anyone who has ever has loved a Pluto in the Seventh native and not engaged his or her heart has felt such a bitter sting at the end of the relationship. Didn’t he or she ever care? Rick’s world and his careful reconstruction of his life falls to pieces when his Paris love, Ilsa, walks in the Café on the arms of the one man Rick respects, a world renowned freedom fighter. Not only was she with someone else, she was with someone “better” than him. We watch as Rick drinks himself almost into oblivion, while his piano player, Sam, cajoles him to go home. “There is no reason to stay,“ says Sam. “She’ll be here,” declares Blaine, certain as any Pluto in Seventh person would be that his obsession is hers, too. Indeed, she does arrive. What follows is a scene reminiscent of Nickelback’s song, This Is How You Remind Me. Ilsa tries to explain what happened. Getting all Neptunian on Rick, she starts, “Let me tell you a story….“ But Pluto trumps Neptune every time. “Let me tell you a story,” Rick cuts in, “of a man waiting at the railroad station with a stupid look on his face, because his guts were just kicked in.” Though she walks out angry and disappointed, you just know that this was not the last of the story, and with Pluto in the Seventh, it never is – unless the native follows the only escape plan possible. Though it is easy to glibly say that Pluto is the planet of transformation, the actual process is painful and torturous. Whenever Pluto is involved, the Lord of the Underworld demands that you relive your angst over and over again until you’ve had enough of it and want things to change. For some people with Pluto in the Seventh, even though a memory is all they have, they’ll cling to the memory of that lost love like it was the only thing that matters. Make no mistake; this is an addiction as potent as any drug. There is only one solution: Release. We do not see Rick’s moment of actual transformation. Maybe it was in the hinted-at last night of passion shared. Or maybe it was when Ilsa submitted to her feelings and asked Rick to think for them both. One or both moments of power gave Rick the ultimate momentum to change the fate of not just three people, but perhaps the fate of the world. If Rick ran off with Ilsa, would it shatter the man, Ilsa’s freedom-fighting husband, on whom so many people depended on for inspiration in one of the world’s darkest hours? And how would Rick and Ilsa ultimately feel about an ill-gotten life together? Brilliant, Beth, this is just brilliant! NR–Thank you. How could you miss with Bogie as your subject? can you please do pluto in the 5th house i have this placement in scorpio and am very intrested in learing more as im not very clear on it. i second memaids request i have pluto in the fifth (in libra) i want to see what it all means. that was a very interesting read above “Pluto in 7th house” I remember a Pluto – Venus contact when I was a young man. She had Venus closely conjunct my Pluto. I obsessed over her for years. Watched her dance away from my life in the arms of another man. The heartbreak was painful and the process of releasing her was a long and painful process. It shook me to the core. I always felt that mad obsession for her. There was no heaven or loving God without her in my life. (Pluto in 9th house..tends to punish anybody with too much trust and faith in things like Santa Claus and the world of oz and kinder angels in everyone.) For ultimately every core belief and superstition is examined and either survives the unblinking microscope of inspection and transformed into the higher mind and in my case with obsession over secrets of the universe and sometimes visions from across the universe and things that sometimes only 9th house Pluto people can see and understand. Memaid, Kate and Rhiannon–Jeffrey liked the idea of the articles too, so I’ll start working on them. Richard–Yes, the word “intense” does not begin to describe Venus/Pluto contacts. Great article, Beth! I always enjoy hearing from you. I’ve recently been thinking about people with Venus-Pluto contacts. I don’t have any myself, but my boyfriend has Pluto in the 7th. His Pluto conjoins my Ascendant. I keep feeling like Pluto’s idea of transformation is the similar to Uranus’s idea of transformation. Do you think people with Pluto in the 7th crave transformation and change, like Aquarius would? Do they require constant renewal in relationships to sustain their interest? Thanks. I always like to hear when someone likes a piece! I have Scorpio on the cusp of the seventh which is similar to Pluto in the Seventh. For folks like us, intensity is a requirement to be in relationship and if that intensity is lacking, the interest is lacking too. Once hooked, the relationship just keeps going in a loop, so it self renews if that makes sense. However the point of a Plutonian seventh house is to transform your idea about relationships. and while Plutonian Seventh House People don’t like change, they are compelled, like a moth to a flame to change. For people without this dynamic in their chart, it is a difficult thing to understands. However, with your ascendant as his descendant you certainly are the catalyst for your partner’s transformation. amazing, Beth! I have pluto in seventh. Didn’t find out all these years coz I had the wrong birth time! And you did my chart for the wrong time in ur blog once. This article explains so much,and i’m still exploring… thanks for this! Great to hear from you. Please send me the correct time so I can update my client files, since of course I only used the birth time you gave me. superb beth!! i felt that was my story. i can relate to rick very closely. i am 22 and have pluto in 7th house in scorpio. i am a taurus asc and she is, probably, a scorpio asc with pluto in 1st. i fell in love with this girl 4 years ago. it was so so deep, intense, et al – i just cant find words to describe my intensity. i am in dire need of help, beth. i could not propose to her out of my shame and inferiority complex towards her. i was brought up that way. from very young i was always belittled by my elders, asking me to be like her and her brothers. but when i introspect my intention towards her closely, i am not able to clearly say whether this is love or extreme dependence. this has been most disturbing event in my life and shook me at the core. now she is with a man so much better than me. this is killng me from inside. i have been failing in my academics for the past 3 years. i can think of nothing but her. my mind is rotten with jelousy. i have been contemplating suicide for 5 months now. the only reason i am alive is i have to earn for my sisters marriage. i doubt i will ever love anyone again so passionately. pleeeeeeeeeeeeeeease reply beth. Were you living in the United States, there are a wealth of services I would recommend to you. Indeed you are going through a difficult time as you are experiencing your Saturn Return, sitting alongside your Progressed Moon and in challenge aspect to your Sun which is conjunct Chiron. Chiron is an energy that is not used in traditional Indian astrology, but Western astrologers are using it more and more. Chiron is an asteroid whose purpose to expose deep karmic wounds. Sitting alongside your Sun, you’ve come into this life feeling that a huge question mark about your self worth and your identity. Yes, you have difficulty realizing your own worth. Most likely you will always feel that way but you don’t have to let that feeling rule your life. It is a feeling after all, and you are in charge of your feelings despite what you think. The girl is representation of those feelings. Somehow, you think, if you were “better” you would have her. Here is something I tell people all the time. Criminals in PRISON have love relationships and support systems, so this has nothing to do with how worthy you are as an individual. However I doubt very much that this one individual is the answer to your questions about your self worth and even if you did marry her your questions would remain. What you do need to help you through this crisis (anytime someone contemplates suicide is in crisis) is a good counselor and possibly some doctor prescribed medication to help stabilize your moods. You absolutely must do what you can to seek this help out. You deserve better than this constant self punishment. In the United State the Suicide Prevention Hotline is 1-800-273-8255. Remember, suicide is never an answer, only a painful delay in answering the karmic consequences of your actions. Progressed Moon going over your Saturn is like a Saturn return. Thank you soo much, Beth!! I was almost sure you would’nt answer like other astrologers on the net. But you’ve proved me wrong. thanks a ton for that. And surely, beth, i shall seek out help for my condition. I have a counselling centre not very far from my home and i shall enroll there, and, this, i thought was a waste of time all these days. That was indeed a great piece of information, especially chiron aspecting my sun was a revelation. i never knew about that. THanks for the concern. Oh well, like the rising Phoenix, this 7th house scorpio is going to go cook dinner, probably go to karaoke, act like nothing is wrong until nothing IS wrong. Thankfully, I’ve been here enough times to know the routine. It’s almost been reduced to the simplicity of making a peanut butter and jelly sandwich. Lol….sad, but true. Pluto in 7th, conjunct North Node (Rahu). Sounth Node (Ketu) conjunct Moon, in the 1st. Please do advise me as to what I may come to expect in regards to my personal relationships. I have a stellium of … *deep breath* Pluto, Mars AND Saturn, all conjunct each other, in the 7th house Libra, and all three tightly squaring my North Node. And my natal sun in 12th house Pisces. Utterly devastated and lost in Life, I feel like the one that the whole world looks at and says, “Thank God I’m not her, nothing in my Life compares to the hell she has endured”. It is very painful to see other people’s lives turn around after some bad luck while mine just gets worse. Sometime after I was horrendously dumped this year after a decade long relationship during the 5planet retorgrade, I started to try and learn about astrology in a desperate bid to understand what I did to deserve such a miserable life (I was deeply suicidal at the time, had no clue about astrology earlier !). I have spent the last ten years battling intense chronic health problems which have left me unable to work, earn, drive, socialise or vacation. Death would truly be bliss compared to the minimal quality of life I have – my 11th house natal moon and Mercury crave friends and a social life and that was taken away when my body betrayed me. My childhood was intensely emotionally traumatic, I am now stuck living with my highly dysfunctional family that continues to traumatise me despite my best efforts to detach and ascend, and I have no hope of moving out unless I can physically heal. I can’t escape the feeling that I am being punished for God Knows what, and I feel too damaged for this world, the pull of suicide is still strong but I’m hanging in there somehow. I don’t want to make the same mistakes and relive this hellish life again the next time around, so I am using the bare bones of the happy hopeful person I used to be to find out – what am I supposed to do? 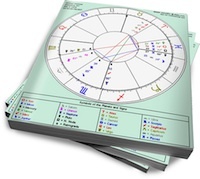 As an astrology novice, I would greatly appreciate your help trying to understand what a Pluto-Saturn-Mars stellium with all 3 planets conjunct each other in 7th house Libra, and square my North Node (NN in my 4th house) means – I have been scouring the net but I can’t seem to understand this part of my birth chart, all I get is bits and pieces but I can’t figure out the stellium of three malefic planets. Also, is there any hope of my battered body and mind healing in the near future? I’m exhausted just being alive now and part of me feels strongly that it is self-inflicted torture to make myself life such a miserable life. No health, no freedom, no partner, no job, no money, living on the charity of my dysfunctional and abusive family who I wanted to get away from all my Life. My ex ripped me apart this year as he dumped me, he was going through a bad Saturn phase and turned on me with a vengeance that still has me in shock, and I fear I will never get over the trauma of it. I am strong to have survived so much in my Life but all strength has its limits. Now I just don’t want to live this restricted and isolated life of chronic illness and lonliness. I am only 34, an accident 9 years ago changed my Life and I truly fear I only have more suffering ahead of me with such a broken down body with chronic illnesses that won’t budge and a mind that is tired of hoping for even a normal average life! Thank you. I’m sorry if I brought you down, but I am truly desperate for answers and solutions. I am working hard to transform myself but I feel trapped under layers of trauma and deep sorrow. Must I renounce all hope of worldy happiness and detach from every heartfelt desire to feel peace? Even simple happiness seems too much to ask for. So I want to do what I need to to release this karma and never return to such a life again – I am terrified I won’t release my karma and will keep going through this intense pain for endless lifetimes! God bless you.